Bel Air is one of Los Angeles’ affluent residential communities. 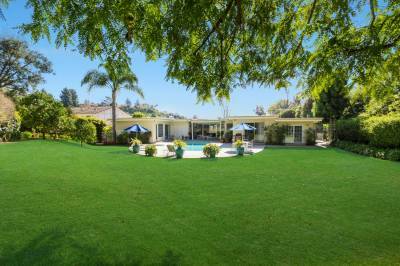 Among the residents are Hollywood celebrities and media elites that favor Bel Air’s proximity to Holmby Hills, Beverly Hills, and the rest of Los Angeles. This west side city enjoys views of the Santa Monica Mountains, the proximity of the UCLA, and the shops lining Sunset Boulevard. For those who wish to experience Bel Air’s subdued elegance, peace, and progress, starting families will find a suitable Bel Air short sale listings from JohnHart Real Estate catered after their exact taste. Our real estate agents work as short sale specialists who can help new settlers find a property for less. We also specialize in assisting current Bel Air homeowners in putting up their properties for short sale. Numerous homeowners have already sought for the help of JohnHart’s real estate agents when they decided to sell their homes, regardless of its current home value, for foreclosure prevention. Residents enjoy many perks, such as the service of several lodging places, its own country club, post office, and several modes of transportations. Homeowners can get back on their feet in no time in the city, especially after completing a successful Bel Air short sale. Similarly, homeowners facing mortgage problems would no longer feel distressed by including their properties under the company’s list of Bel Air short sales. JohnHart’s real estate agents are always ready to explain loan modifications programs made available to interested homeowners. If you want to know if you qualify for a short sale, don’t’ hesitate to contact one of our real estate agents and have them inform you of our helpful programs.